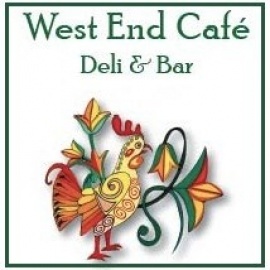 Located in downtown San Rafael, West End Café has a complete breakfast, lunch and dinner menu as well as a full bar. For you breakfast lovers, we have breakfast tacos that are made fresh to order every morning. Our customers rave about our delicious sandwiches, so if it’s your first time to dine with us and you are deciding on a sandwich to choose from then the Chicken Pesto sandwich is always a favorite. 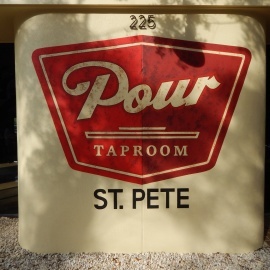 Come join us for Happy Hour 7 days a week! Our menu has a large list of savory items including omelets, eggs, breakfast tacos & wraps, hot & cold sandwiches, salads, po’boy sandwiches, burgers, pork, beef, vegetarian & fish tacos and so much more. Starting at 6am, we can deliver your meal to your doorstep. We look forward to providing you with a tasty meal! 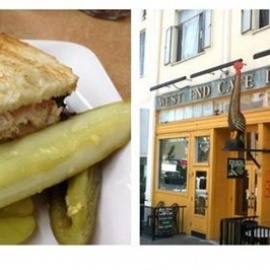 West End bar serves food till midnight every night. $1 tacos, $2 burgers, $3 polish sausages. Full menu is also available. Thursday nights - Buy one beer at regular price and get one free taco of your choice. Sunday nights - Buy one beer at regular price and get one free taco of your choice. The State Room is a family friendly locally owned / opperated Brewery. Farm to table gastro pub cuisine. Beers brewed in house and craft cocktais.